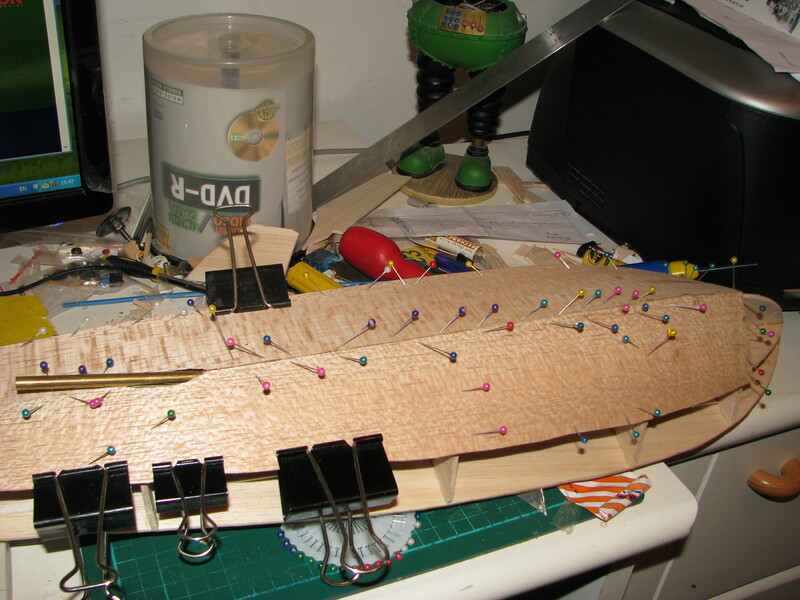 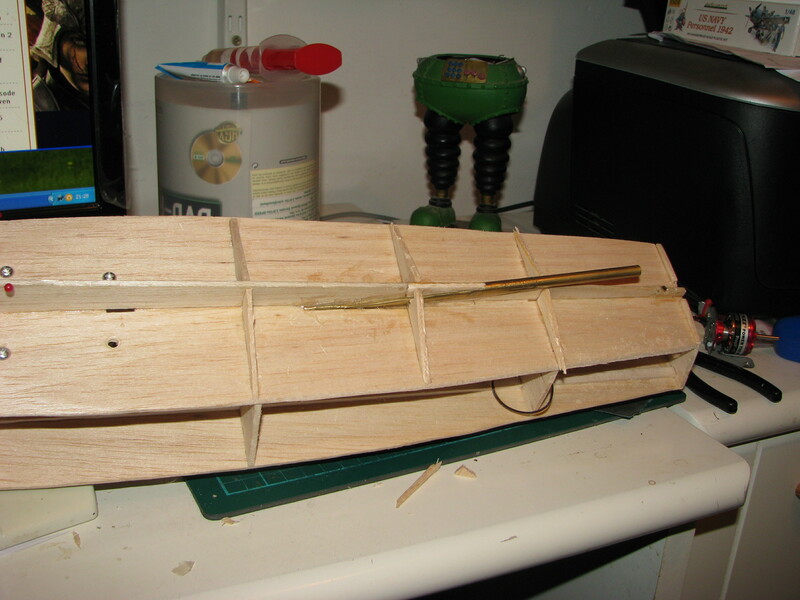 Put the motor, prop-shaft and rudder in before doing the sides. 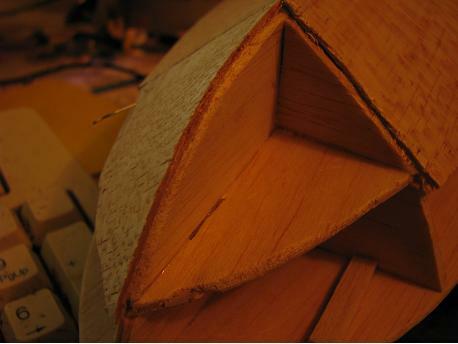 It is much easier to get the angles right. Here I use a solid 3mm shaft going through the shaft AND motor to be sure that alignment is perfect. 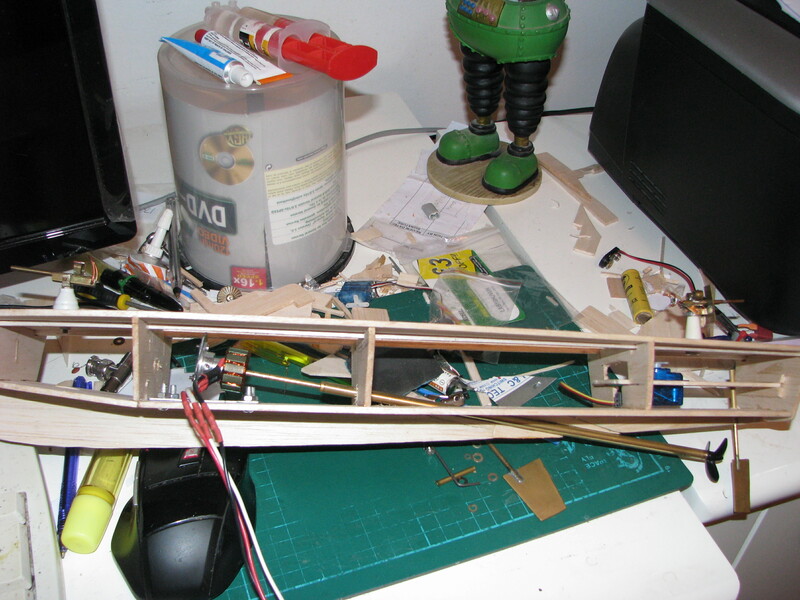 Once set up, the prop-shaft tube is epoxied in place. The underside skin is fairly standard - note that the pattern is provided a bit big so that trimming will be needed. These are cheap bendy pins off ebay - but satisfactory for this soft balsa. 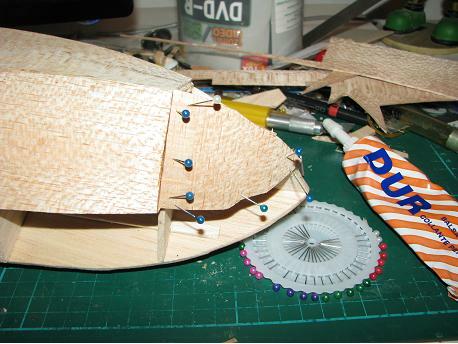 I need lots to sto it tearing...! 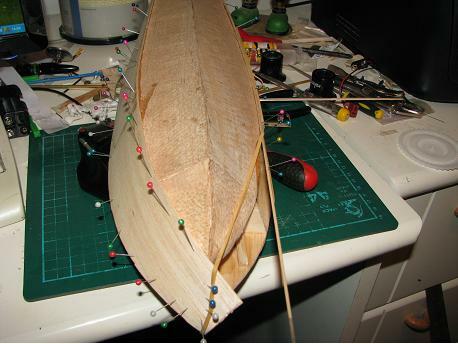 Sand the point on the sub-deck where the chine changes angle so that it is a gentle curve to fit the underside skin. And then the lower formers are added. 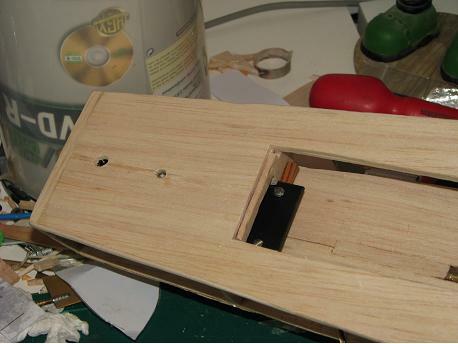 Once the rudder servo is mounted and tested, the sides can go on. 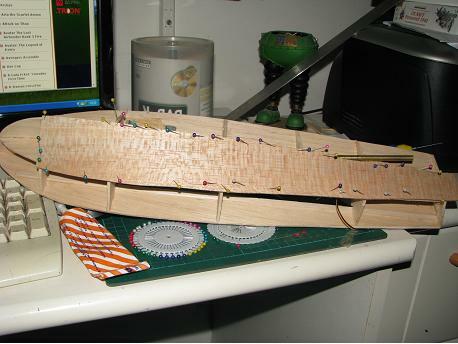 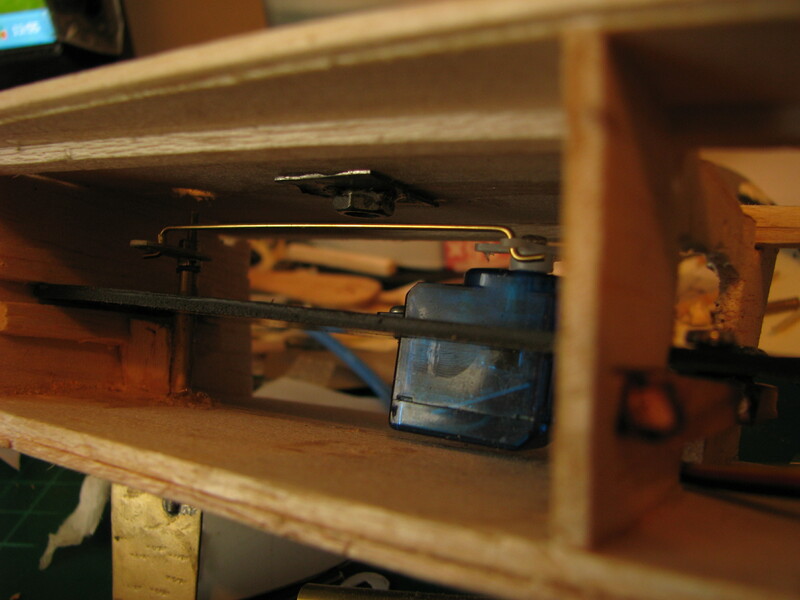 As usual the front curvature is handled by cutting a bit of balsa across the grain, so it bends easily. 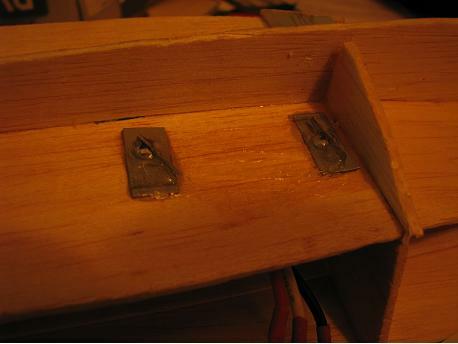 They wrap easily at the front with a rubber band providing extra grip. 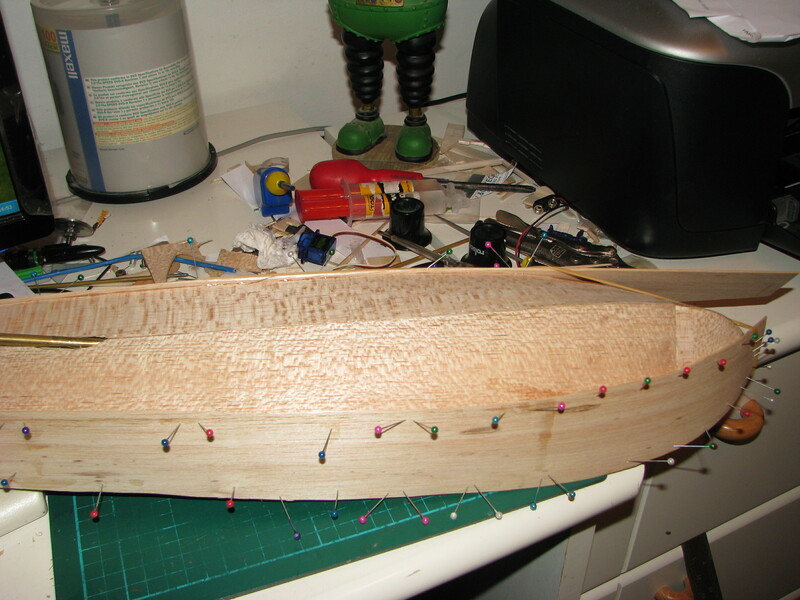 The stern was going to be completely sealed, but I really needed to get a servo in there. It's very slim, so this was the technique I eventually decided to use - a styrene slide-in servo board.